By the time of the next census in 2021, white Britons will be a minority in Birmingham, where already in 2013 less than a third of schoolchildren were recorded as having white ethnicity, an official report has said. Birmingham City Council’s community cohesion strategy states the city is “soon to become majority minority”, noting in the report that figures from the last census already showed 60 per cent of residents aged under-18 had a foreign background. More than half of its population of more than 1.2 million people will class themselves as non-white British when the next census rolls around, up from 42.1 per cent in 2011, according to the report. While noting that neighbourhoods suffering from “long term, persistent deprivation” are a problem for Birmingham, along with a “shrinking affordable housing sector”, the strategy boasts that the city’s “super-diverse” demographics are an asset. While it reports “greater levels of disadvantage” in areas of the city with a “high concentration” of ethnic minority inhabitants, the strategy — which alleges authorities need to tackle “segregation” — suggests that geographical location is to blame for inequality, citing ‘neighbourhood effect’. Another problem highlighted is unemployment, with the rate in Birmingham 10 per cent higher than the UK average. The city has a “skills deficit”, the report said, noting that “a particularly high percentage of Pakistani and Bangladeshi residents have no qualifications” while more than 47,000 residents are unable to speak English. In its report, the council brags about making the metropolis a “city of sanctuary” for illegal immigrants, with equalities chief Councillor Tristan Chatfield stating that “Birmingham is committed to creating a culture of hospitality and support to people seeking refuge and asylum”. 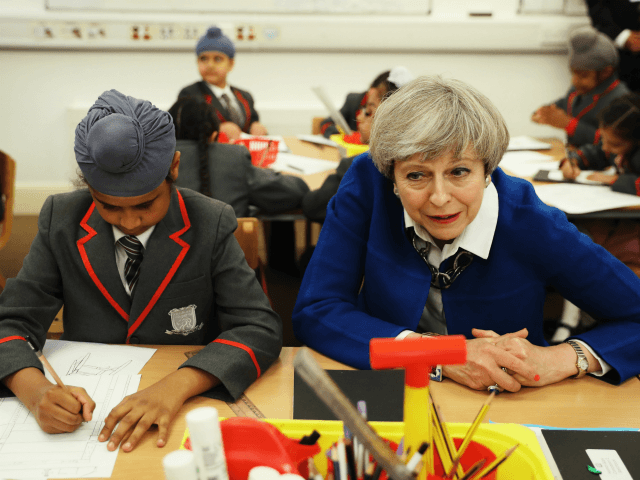 With almost a quarter of its population born abroad, the extent to which mass migration has transformed Birmingham was revealed in a 2013 report which showed white pupils accounting for just 31 per cent of the city’s school population. According to the Community Safety Partnership (BCSP), a multi-agency body including West Midlands Police and the city council, South Asian students comprised the single biggest ethnic group with 44 per cent, while black pupils were 13 per cent of the total. Birmingham has been struggling to deal with a massive surge in violent crime in recent months, as Breitbart London reported this week, with local media alleging shoppers are afraid to tread parts of the city centre against a backdrop of random machete attacks and mass brawls. The report comes amid a new government statistical report which shows that mass migration has pushed the UK population over 66 million, following a one-year population increase equivalent to a city the size of Cardiff, the Welsh capital. Of those new people in the United Kingdom, over half were migrants.